Daniel Joseph Martinez is an unrelenting social critic whose work takes up such issues as the relationship between individual and collective identity, socially prescribed categories that serve to oppress the most vulnerable in our society, and state-sanctioned forms of violence. Spanning sculpture, photography, prints, site-specific interventions, and installations, his divergent forms oscillate between sleek elegance and an almost alarming embrace of the visceral. 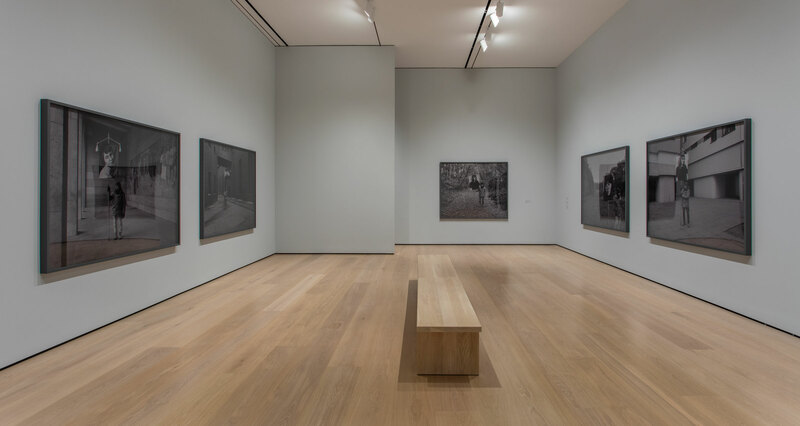 In previous works, Martinez has explored the relationship between capitalism, hostility, and domestic terrorism, invoking a range of perpetrators of violence in the name of ideology, sovereignty, or freedom. 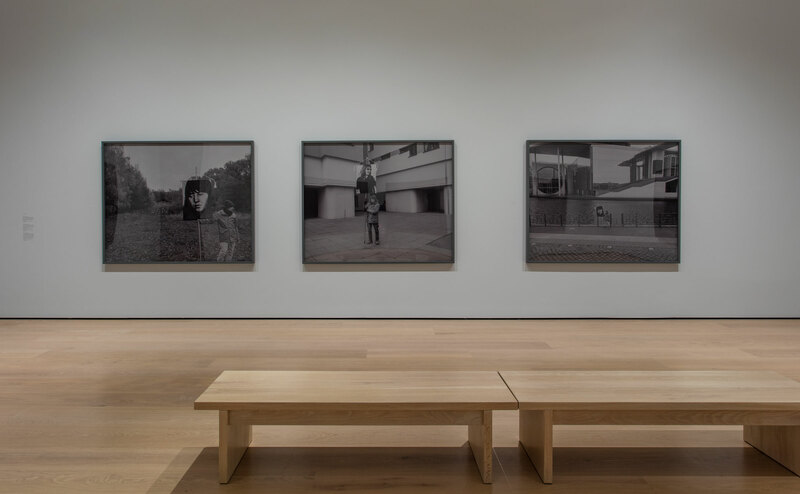 Made in L.A. 2018 features a number of photographs from a recent body of work titled I am Ulrike Meinhof or (someone once told me time is a flat circle). For this series, Martinez visited numerous sites along the 103-mile border between the former East and West Berlin, where the Berlin Wall once stood. In each location, he held up a banner featuring a portrait of Ulrike Marie Meinhof (1934–1976), the German left-wing militant and cofounder of the Red Army Faction, at different stages in her life. In 1972, Meinhof was arrested and charged with numerous murders; before the trial concluded in 1976, she was found hanged in her prison cell. 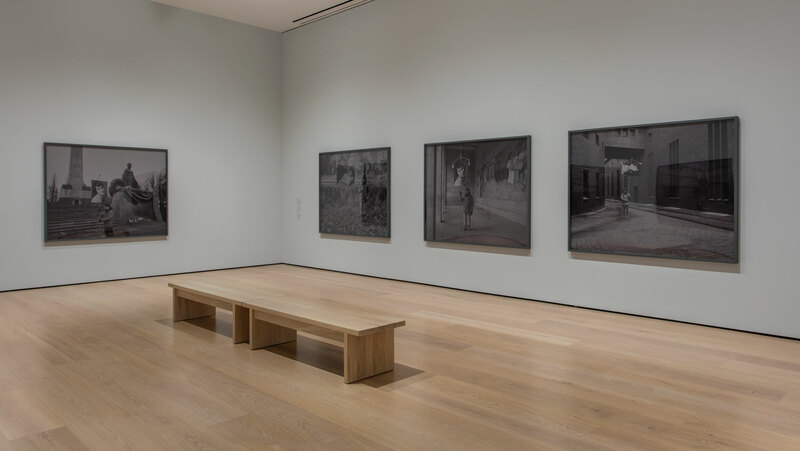 Martinez performed before the camera at eighty different locations, creating German landscape images that highlight the schisms between physical and psychological borders. His invocation of the Berlin Wall as a site that both physically and metaphorically divided the country cannot help but bring to mind our current administration’s calls for the erection of a wall between the United States and Mexico. 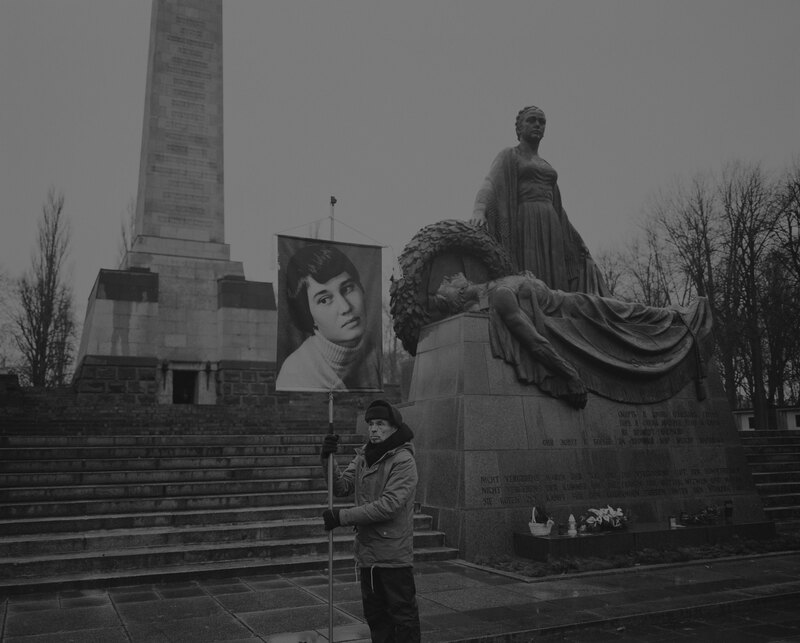 Martinez’s images also deliberately complicate Meinhof’s legacy, asking probing questions about the role of women in revolutionary politics, the status of the individual within social structures, and why violence is sometimes deemed necessary by those who embrace civil disobedience as a means of civic reform. The artist’s return to this pivotal moment in post-1968 Europe is a reminder to heed the lessons of the past at an unprecedented time in American history, in which threats to democracy loom large. Daniel Joseph Martinez (b. 1957, Los Angeles, California) works in South Los Angeles. Martinez received his BFA from California Institute of the Arts in 1979. His work has been exhibited in numerous exhibitions, including Los Angeles County Museum of Art (2017); Museum of Contemporary Art, Detroit (2017); Whitney Museum of American Art, New York (2017); Museum of Fine Arts, Houston (2017); Museo de Arte Moderno, Medellín, Colombia (2016); Jewish Museum, New York (2016); and Museum of Modern Art, New York (2012). Martinez has represented the United States in eleven biennials worldwide, including SITE Santa Fe Biennial (2014); Istanbul Biennial (2011); Berlin Biennial (2010); California Biennial (2008); Quebec Biennial, Canada (2010); Venice Biennale (1993); and Whitney Biennial (1993, 2008); he represented the United States in the American Pavilion in the Cairo Biennial (2006). He is the recipient of the Rockefeller Foundation Bellagio Residency, Italy (2018); American Academy Fellowship, Berlin (2016); Herb Alpert Award in the Arts (2014); United States Artists Fellowship (2007); ArtPace Foundation Fellowship and Residency (2005); California Arts Council Individual Artists Fellowship (2003); Pollock-Krasner Foundation Grant (2001); Getty Center Foundation Individual Artist Fellowship (1997), and National Endowment for the Arts Individual Artist Fellowships (1991, 1995). Martinez cofounded Deep River and LAXART, both in Los Angeles. He is Donald Bren Distinguished Professor of Art at the University of California, Irvine.